5.1 Q: My birds nest fern is sticky. Help? 5.2 Q: How can I attach my birds nest fern to an upright rock or board? 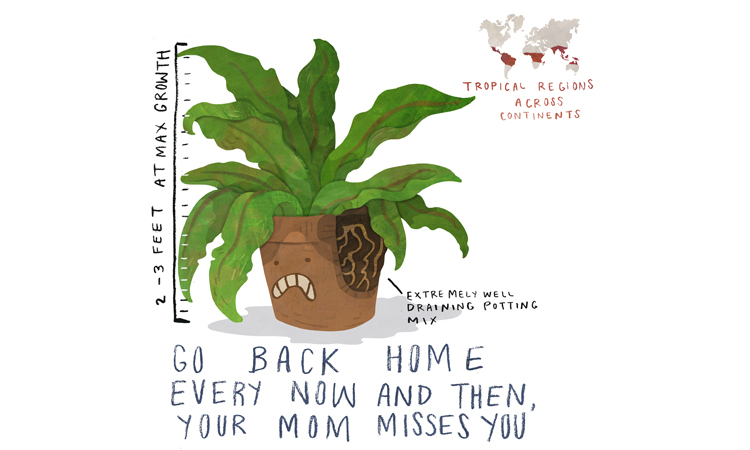 Quick care for the bird’s nest fern, illustrated by Seb Westcott. Temperature 70-80 degrees Fahrenheit is ideal for this tropical plant. Pests Foliar nematodes, caterpillars, fungus gnats, mealybugs, scale, slugs. Also can experience bacterial blight. Native to the temperate regions of eastern Asia, this fern commonly grows on tree trunks, cliffs, and in dark forests. While it is endangered in the wild, it’s commonly available throughout the United States and Europe as an ornamental houseplant. 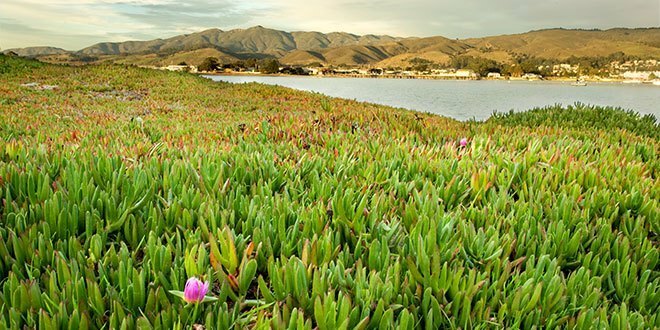 It grows on average 2-3 feet in height/width. Bright green blade-like leaves with a firm center rib and uniform width extend upward from the tight root mass. The edges of the leaves are delightfully crinkled and rippled. Originates from the New South Wales and Queensland regions of Australia. Asplenium australasium looks as though it would be as much at home on a desert island as it would be in your living room. A distinct central rib juts out from beneath its yellowish-green wide leaves. The rib appears almost like a boat’s keel. As the leaves grow, they uncoil themselves to reach towards the sun. This epiphytic plant isn’t just pretty, though. In Taiwan, it might just be part of dinner, as its leathery young greens are used as a vegetable. 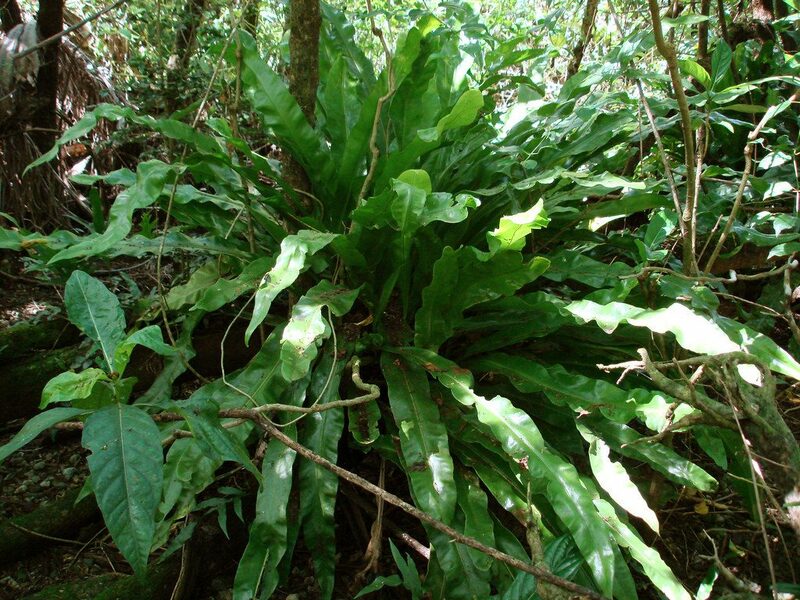 In the wild, Asplenium nidus comes from eastern tropical Africa, northern Australia, and tropical Asia. While it can be either epiphytic or terrestrial, it’s fond of rich organic matter. It often can be found living in bromeliads or on palm trees in its natural environment. It’s also wildly popular as a houseplant, with light to medium green leaves that are reminiscent of banana leaves in appearance. Native to the Caribbean, Brazil, and Florida in the United States. The wild birdsnest fern is considered to be endangered in Florida and is rare to see in the wild now. It can live as either a lithophyte or epiphyte, and is happy on both eroded limestone and rotting wood. It also makes a beautiful houseplant, albeit one which may be a bit harder to find initially. Its leaves are typically quite crinkled along the edges, and tend towards medium to dark green in color. The birds nest plant doesn’t have to be hard to take care of. In fact, it makes a fantastic houseplant because it’s so easy to care for! But it does have some very specific requirements you need to meet for optimal growth. The birds nest fern prefers to have indirect sunlight or shade conditions. As an indoor plant, it can do surprisingly well with only occasional exposure to natural indirect lighting, or even under artificial light. Outdoors, it prefers shade as its waxy leaves will scorch easily. It’s also easy to tell if it’s receiving too much light, as the leaves will begin to become pale rather than vibrant midrange green. In addition, the leaves will become more crinkled with the extra light. These plants are tropical, and so they adore the humidity. However, they don’t like wet feet. If they are grown terrestrially in a potting blend, it has to be extremely well-draining. Regular mistings of this fern will help to keep the humidity levels around it up. Its pot can also be placed on top of a tray holding rocks and a small amount of water to increase the ambient humidity. However, unlike some other fern varieties, the birds nest fern is forgiving of occasionally dry conditions. It won’t immediately wilt if you are forgetful and miss watering it for a day or two. It won’t necessarily thrive in drier situations, but it also won’t die off rapidly. When watering, water around the outside edges of the plant, rather than from overhead. If it is watered from the top, too much water can collect in the central part of the plant and create a risk for blight. 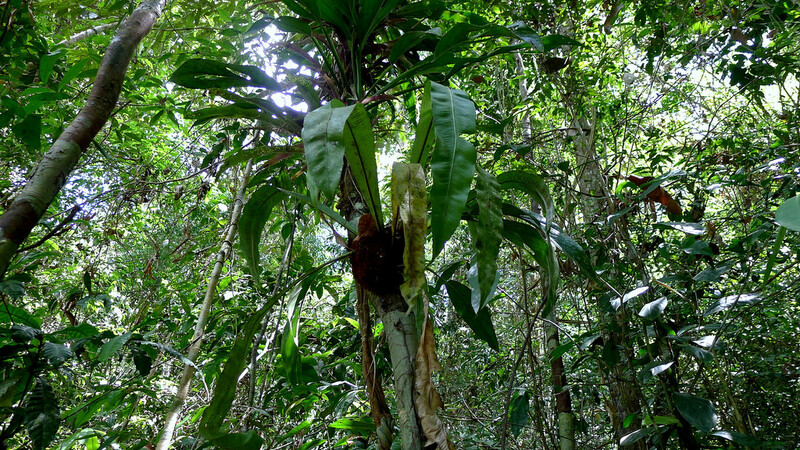 As the birds nest fern is typically epiphytic (grows on wood) or lithophytic (grows on rock), it can exist without standard soil blends at all. You can find a particularly nice chunk of an old rotting log, or a board to hang on the wall, and use it for dramatic effect. However, it can also be grown in a very well-drained potting soil. A blend that is designed for orchids or bromeliads works perfectly, or you can use a blend which is heavy in humus or peat moss and lots of perlite. The fern soil should be moist but not wet at all times. Many gardeners who are attempting to grow birds nest fern outdoors in a shady environment find that it just isn’t humid enough around their plant. In situations like that, it’s good to pile a thick layer of mulch around the base of the plant to help keep up the humidity at its center. 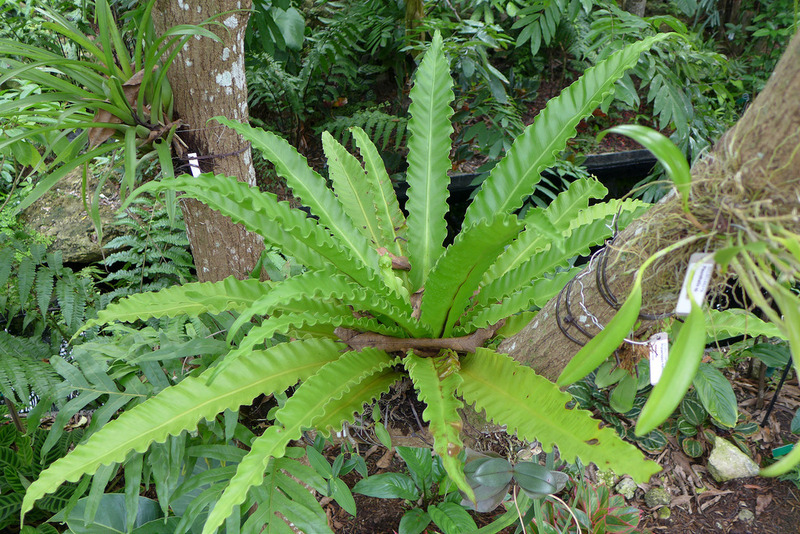 With birds nest fern, too much fertilizer is more dangerous than not enough. 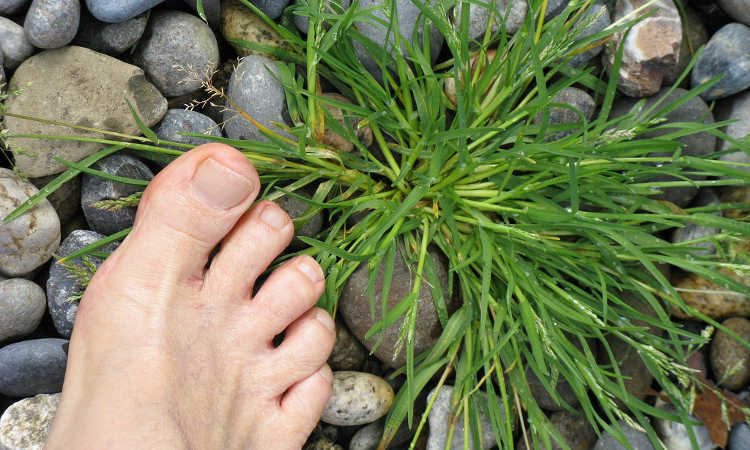 An overabundance of fertilizer will cause the leaves to take on a brownish or yellowish cast along the edges. It may also deform the leaf shape. But it does need some food nonetheless. Fertilize during the spring or summer months only, and only a few times. Two to three times during the year will suffice. Use a balanced liquid fertilizer that’s diluted to half strength or weaker, and apply it to the soil or base of the plant rather than the leaves. Unlike most ferns, birds nest fern is quite difficult to propagate for the average home gardener. It commonly propagates from spores in the wild. 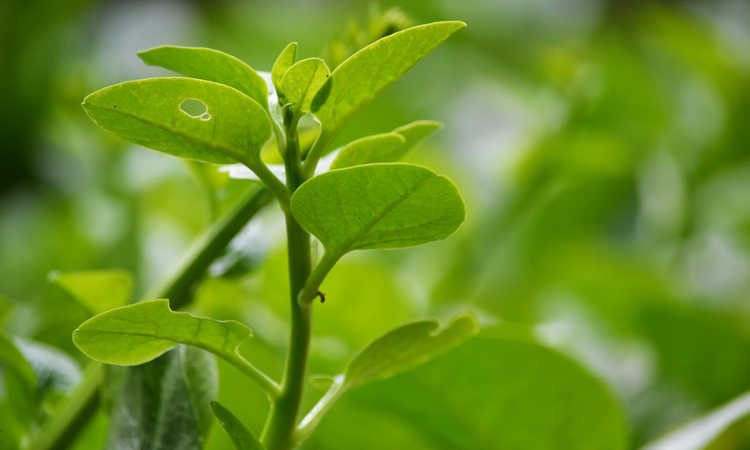 In commercial settings, it’s most commonly propagated by tissue culture. Because of that, it’s best to purchase your fern from a home and garden center than to try to propagate your own. If you still would like to try reproducing your own birds nest fern, you can try to harvest spores. The spores look like little lines of brownish, fuzzy spots along the underside of some of the leaves. When these spores are fat and look quite fuzzy, trim off the leaf they’re on. Carefully place it into a paper bag. Over the next few days, the spores should collect in the bottom of the bag. Once you have your spores, prepare a pot of sphagnum moss. Scatter the spores across the top surface, leaving them uncovered. Place your pot of moss and spores in a dish of water and allow the water to seep upwards through the moss from the bottom. Keep the spores moist by covering the pot with a plastic bag or plastic wrap, or hand-mist the top daily. Keep the pot at temperatures between 70-80 degrees in a shaded location. The spores should start to germinate in 2-3 weeks, and if the pot is covered with plastic wrap or a bag, you should be able to remove it sometime between 4-6 weeks after starting the spores. Since the birds nest fern is naturally epiphytic, its root mass doesn’t grow large enough for it to require repotting to prevent root constriction. However, it can become unstable as it becomes larger, and will need a larger base to attach itself to. Generally, it’s best to repot every 2-3 years or when it appears to become unbalanced on its current platform. If you have to repot fern plants, use an appropriate potting soil and a pot that provides side stability for the long fronds. If you have your fern attached to a log or board, keep a watchful eye on it. Be ready to replace the wood with something larger when it seems to be needed. Take extreme caution when loosening its grip on its support wood, very gently prying the root mass away from its old wood. If necessary, you can trim some roots, which may encourage new root growth. Then train your plant to its new wood by helping it grasp onto the wood, spreading out the root mass. It may require temporary support while it learns how to hold on to its new home. The birds nest fern often doesn’t need much in the way of pruning, as it tends to maintain its own shape and size. However, if you wish to trim it back, you can remove leaves from the outside of the plant down at the plant’s base. This is usually sufficient. You can also trim leaves which are less visually-appealing as necessary. 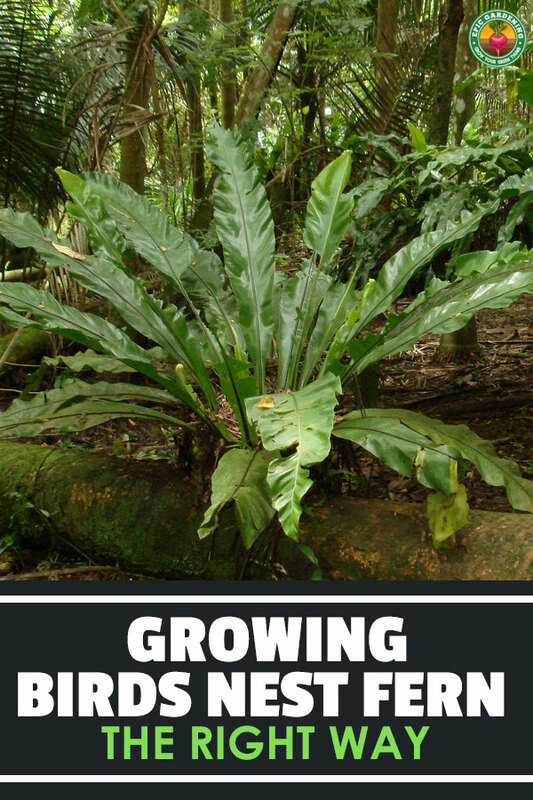 Most problems with growing birds nest fern come from pests, but there are a few other issues. Here’s a list of the most common difficulties and how to fix them. The worst two growing problems for most fern growers are overfertilization and watering it incorrectly. Overfertilization is something to particularly avoid. This can cause yellowing or browning of the leaves, spotting, or leaf deformation. Be sure to avoid giving your bird’s-nest fern too much fertilizer! 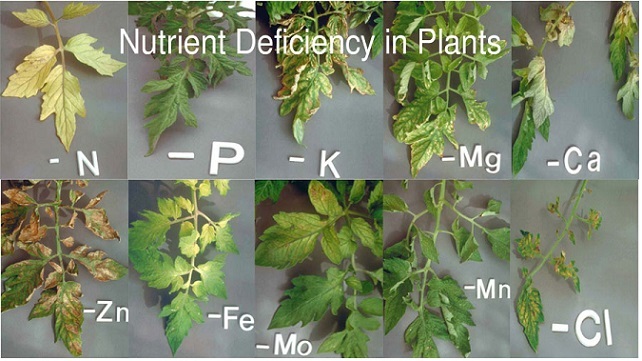 If watered from the top, blight can be a major issue. It’s better to water your plant around its base, being sure that water does not pool there and that the soil drains easily. In ideal conditions, the soil will be moist but not soggy at all times. If your fern’s leaves are extremely flat, it may not be receiving enough light, and might appreciate a little extra indirect sun occasionally. If its leaves are too crinkled, it’s getting too much light and needs more shade. Adjust the lighting conditions so the fern is to your preference. 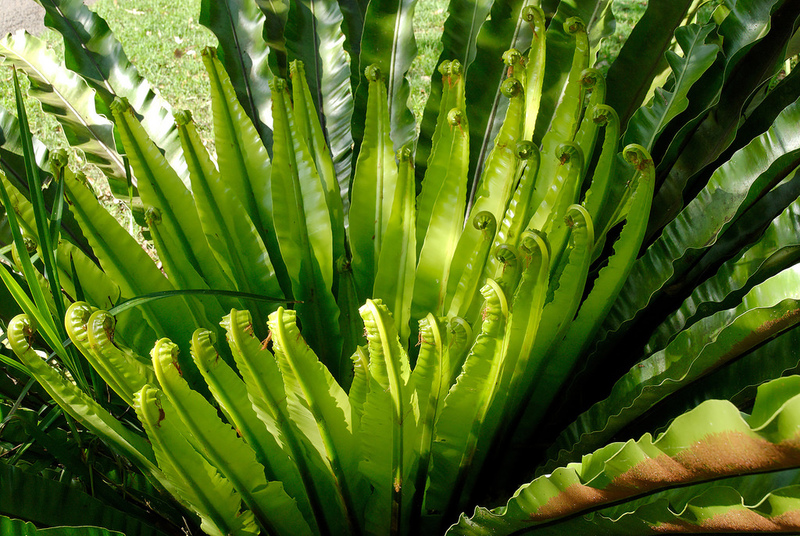 The most common disease for birds nest fern is bacterial blight. In this condition, water-soaked, translucent small spots begin to form on the leaves. These rapidly enlarge, turning reddish-purple around the edges, and can spread up along the leaf veins. If you begin to see signs of this sort of damage, quickly trim off the damaged leaves at their base in an attempt to prevent further spread. If it spreads even after you’ve trimmed the damaged leaves, most bactericides are ineffective. You can certainly try them anyhow to attempt to combat the bacteria. However, if trimming off the damage doesn’t work, your plant may need to be destroyed to prevent further bacterial spread. Do not use that soil for plants unless it has been thoroughly sterilized. Foliar nematodes can be a major issue for ferns in contact with soil, and it looks an awful lot like bacterial blight initially. Small, water-soaked translucent spots will form on the leaves. However, instead of turning reddish-purple as they would with blight, these go brown to black. Often, plants which are showing signs of nematode damage need to be destroyed, and the soil will need to be sterilized to eliminate the nematodes. Before throwing out the plant, you may want to try applying beneficial nematodes and see if they will help eradicate the pest nematodes. They can also help sterilize the soil. Caterpillars such as cutworms can be a problem, causing munching along the outside of fronds. If you discover caterpillar damage, apply Bacillus thuringiensis (BT) in either spray or powder form to all leaf surfaces, top and bottom. I like Monterey BT for this purpose, but Garden Dust also works quite well. Another pest that can become an issue is the fungus gnat. The larvae eat lower parts of the plants and the root, and the adults become a flying nuisance while leaving superfine webbing on the plant surfaces. You can combat these using beneficial nematodes to find and consume the larvae, and use neem oil on the foliage to deter the adults from landing around the fern to lay their eggs. Mealybugs can create cottony masses on leaves and roots. These pests will cause your plant’s growth to become stunted. You can deal with these rapidly by using a product such as Safer Soap or Safer Brand Yard & Garden Spray. Either option will kill the mealybugs off. Scale insects will make your plants appear stunted. These insects feed on the stems and leaves of your birds nest ferns, and can sometimes look like spores, and other times be difficult to see at all. Use products like Safer Soap or Safer Brand Yard & Garden Spray to combat these pests, too. Slugs are yet another problem pest for birds nest ferns. These cause feeding damage on the leaves which is pretty obvious, and a quick inspection on the underside of the leaves will reveal them. You can hand-pick them off and dispose of them. Use a product such as Garden Safe Slug & Snail Bait around the base of your plants to kill others who might go after your ferns. Q: My birds nest fern is sticky. Help? A: If it’s sticky, that’s likely something called honeydew, which is a result of having a scale infestation. Scale insects may be hard to spot, but that stickiness is a sure sign that they’re present. Use insecticidal soaps or pyrethrin sprays to combat these pests, such as the suggestions I gave in the pest segment. Q: How can I attach my birds nest fern to an upright rock or board? A: This process can be fairly complicated, especially if you’re trying to convince it to grow on a surface you plan to hang or set upright. However, products such as Liquid Nails have been used in the past to attach bromeliads to boards. You will need to carefully trim away part of the plant to create a flat surface in the root mass. Then, use just enough of the glue to help anchor the center of the root mass to the board or rock so it doesn’t slide. Too much glue will prevent the roots from taking in nutrients from the surface you want the plant to live on. Carefully drape the rest of the roots around the board/rock and leave it leaning against the wall for a few days, misting it regularly, to allow the roots to take hold. Do not hang your board or rock until the plant has fully grabbed on and become secure. So, are you going to try to grow this rainforest delight? It’s a stunningly beautiful houseplant, and it can really liven up your living space. I’m particularly fond of the crow’s nest fern myself! Tell everyone your favorite in the comments below. when do you repot the fern? I just got one recently, it looks a little crowded in the pot. How do I know when it is the right time? The roots of this fern don’t typically grow enough to get root-bound, as it’s an epiphyte – so root-crowding isn’t really a concern here. However, if the plant looks unstable or as if it’s going to fall out of the pot, it’s time to replant in a slightly larger pot. If it seems stable, it should be fine for a while longer. Usually repotting is only necessary every 2-3 years or so! I have a question for you about my Austral Gem fern. It isn’t dying, but it really isn’t frowing. I don’t over fertilize, nor do I overwater. It just isn’t doing ANYTHING. I noticed that the “crown” isn’t in the potting mix, but out of it a little. Would this have anything to do with it? Could I perhaps have it in too big a pot?It’s in a 6-8 in pot in professional potting mix which has perlite, peat moss,and I think vermiculite. It’s called ProMix. I hope you can answer my question! ProMix is a great potting soil, so that shouldn’t be the problem! 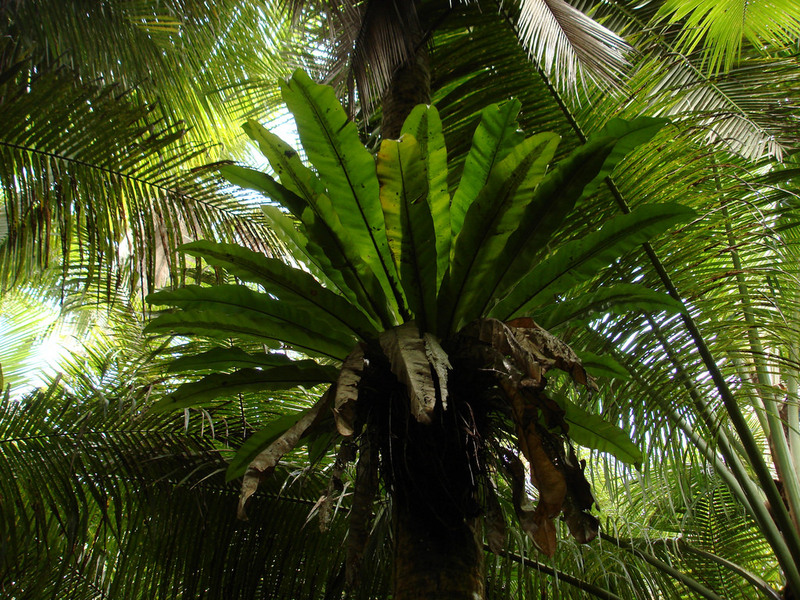 Austral Gem, like all other birds nest fern varieties, is an epiphyte. The roots don’t actually feed on the soil very much, and in fact it can be trained to grow on a board or other piece of wood. I wouldn’t be concerned about the crown being slightly out of the soil. My guess is actually that you’re lacking enough humidity for the plant to thrive. One thing that these ferns love is lots of humidity, as their natural environment is a rainforest. Try placing a pebble tray under the pot with a little water in it as that can increase the humidity around your plant. You can also mist it occasionally to add extra humidity if needed. An excellent page. I have enjoyed reading and learning from it. 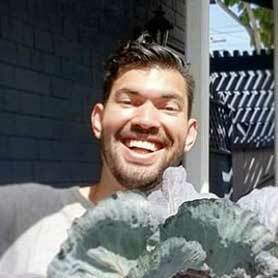 I live in Southern California and have a Bird’s Nest Fern, and have had for thirty years. It sits in my “Rain Forrest”…some trees where I have many ferns and begonias and other plants growing among bamboo. My Bird’s Nest has lived there happily all that time by pretty much following your above advice. However, I have learned so much about pests and what to do about them, I give you my thanks.